This old bench was repainted a sweet sage green. A cushion was recovered in a vintage afghan that is reversible. The side shown on the cushion reminds me of a beautifully-colorful Monet's oil painting: The Japanese Bridge. 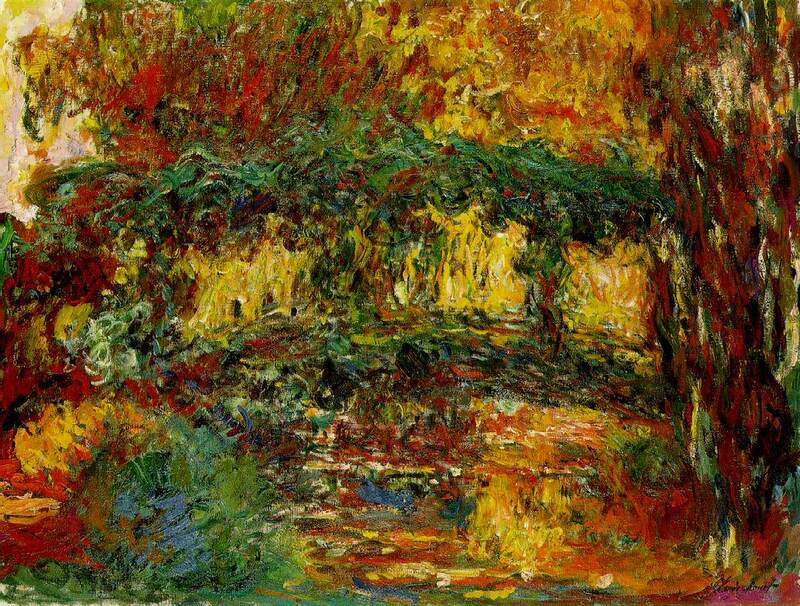 This painting was completed 1918-1924 at his home in Giverny. It appears as though the sun is bathing the gardens with golden light and illuminated all that it touches. Would be nice to soak up some sun while sitting on this sweet bench, oui?